Is your marketing achieving decent results but getting messy and unfocused? One month you’re trying to get more sales for a specific product or service line. Next month you’re trying create awareness of the CEO’s new initiative. It seems that every department or division head is clamoring for more attention and marketing, but they’re not willing to do much to help you help them. Then a new intern is hired. She or he is fresh out of college and asks why you’re not using or putting more resources into the latest social media of the moment. After a few months, your marketing strategy, which looked so nice in the PowerPoint presentation, has been shredded bit by bit until you don’t even recognize it anymore. In short, it’s screwed up — and you’re screwed, unless you do something about it. Over several columns, I’m going to explain how to “unscrew” your marketing and get it producing effective results for you and your organization. The first step is really an ongoing step called FOCUS. But before you take that first step, examine the preparation or development stage of your strategic marketing plan. What are your primary and secondary markets? How does your product or service benefit the people or organizations (if you’re a b2b firm) in those target markets? How is your product superior to that of your competitors? What is the downside of NOT buying your product or service? That should have helped you develop your message and primary media choices. Now, what are your specific goals? How are you going to reach them? At this point, everyone in a position of influence in your organization should understand (or at least hear from you) that marketing has to be a priority if they expect to grow and succeed. Business really has only two functions — Production and Marketing. Everything else is a component of those functions. You are either producing and delivering a product or service, or letting people know about it. 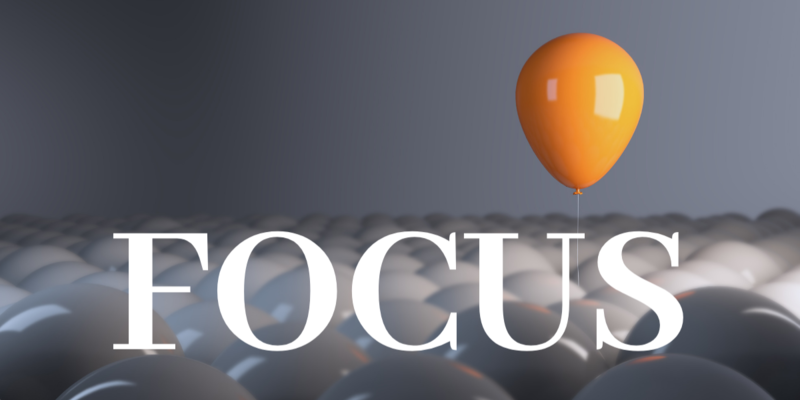 If you’ve accomplished the above, establishing and maintaining focus is up to you. Leadership and department meetings provide the best opportunity. Start every major meeting or report with a review of your purpose and specific goals. If it’s a monthly recap meeting, go on from there to cover all you have done or accomplished. You do important work — providing transportation to those who need to get to jobs, school, shopping and medical offices. Riders often have no other viable options. That’s it. Then I recap what we’ve accomplished in the last month and what we’ll be doing next. You’ll find that if you bring your purpose and goals up first and often, subjects that don’t fit those goals will stand out as a waste of resources. Unscrewing your marketing is no walk in the park. But using FOCUS as the first step will get you farther and faster down that path.